Austre Brøggerbreen in the north-western part of Spitsbergen (Svalbard) is a valley or cirque-type glacier extending from 650 to 50 m a.s.l. Its surface has an area of 6.1 km2 (2012) and is mainly exposed to the north. The glacier is composed of more than one firn area but the mass balance measurements are carried out on the well-defined eastern part of it. 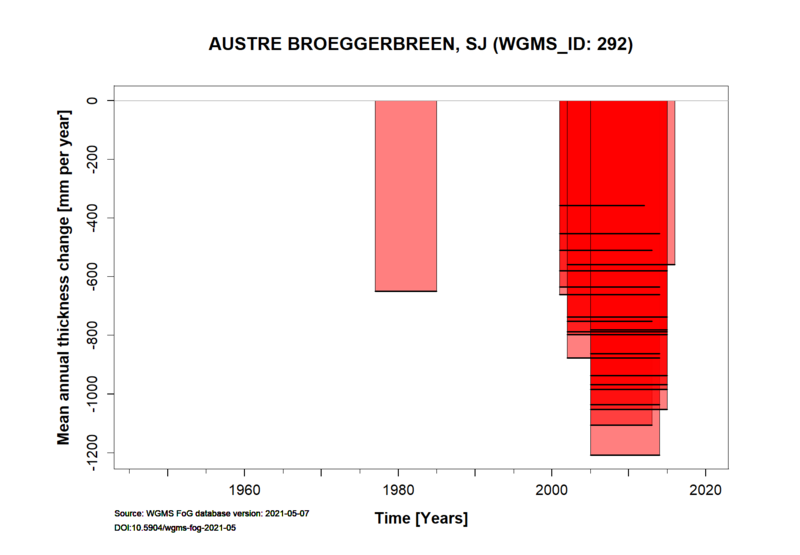 Annual mean air temperature at the equilibrium line (around 300 m a.s.l.) 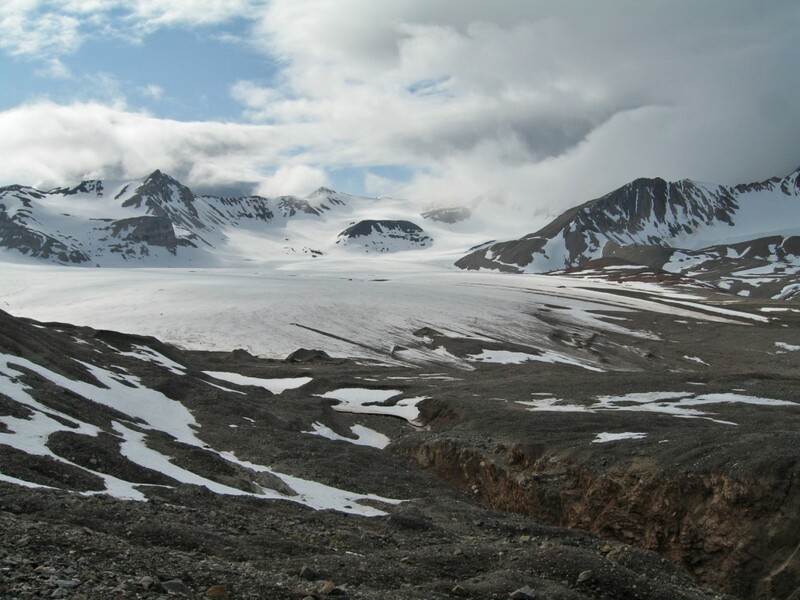 is about -8°C and the glacier is predominantly cold, with only the deepest part being temperate. 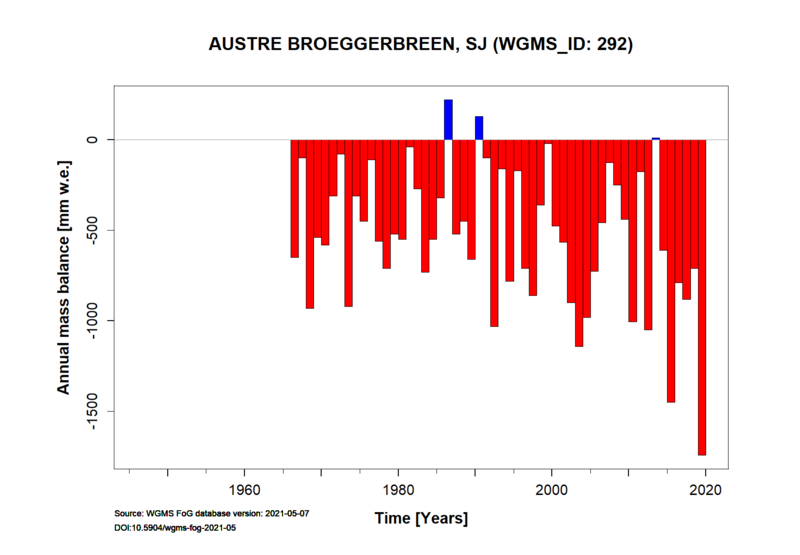 Average annual precipitation at the nearby meteorological station at Ny-Ålesund (40 m a.s.l.) is just below 400 mm. Periglacial permafrost is continuous.